Every one of us wants to invest time and effort in the best social media platform, who doesn’t right? And don’t forget, there’s Reddit, Tumblr, StumbleUpon and a dozen more to consider if you even consider them as a social media platform. Finding a social media marketing platform that fits your requirement, needs and goals are never easy but in a long run, it is seriously rewarding. In this post, I will lay out my opinion and various case studies I did over the months on social media. Yes, I’ll share with you exactly which social media platform works best for specific goals. Twitter is my favorite social media marketing platform of all time. Period. I love to call it, marketing with 140 characters. Twitter is powerful — only if you use it correctly. Have you ever wondered how social media influencers like Kim Garst, Chris Brogan, and Guy Kawasaki uses Twitter? They use Twitter not as a marketing tool but as an engagement tool. Instead of purely promoting a product, you should focus on taking the opportunity to build a conversation surrounding a tweet or topic. Facebook is my second, most favorite social media platform of all time. Through several case studies I performed over the months, Facebook works best with media sharing compared to plain links. For example, I would get up to 50% more engagement on image posts compared to link posts. Also, videos posted directly to Facebook would have a better search ranking (more visible on the timeline) compared to any other forms of media publication. Ghost town or a deserted platform? Since the departure of Google Authorship, Google+ has lost a lot of traction. Seriously. Don’t underestimate the power of Google+ at least for now because updates on there get ranked on Google faster! But you may already know this by now. So how useful is Google+ for social media marketing? How to use Google+ for marketing? LinkedIn is the king of any social media marketing related to business. If you are looking for all sorts of marketing or B2B related topics, LinkedIn is the only best choice to go with… and you can’t go wrong with it either. An important point to remember is that LinkedIn is used by business owners more than the typical-type-of-users you usually find on other social platforms. Therefore, the tone of the conversation and engagement must fit well into that context. 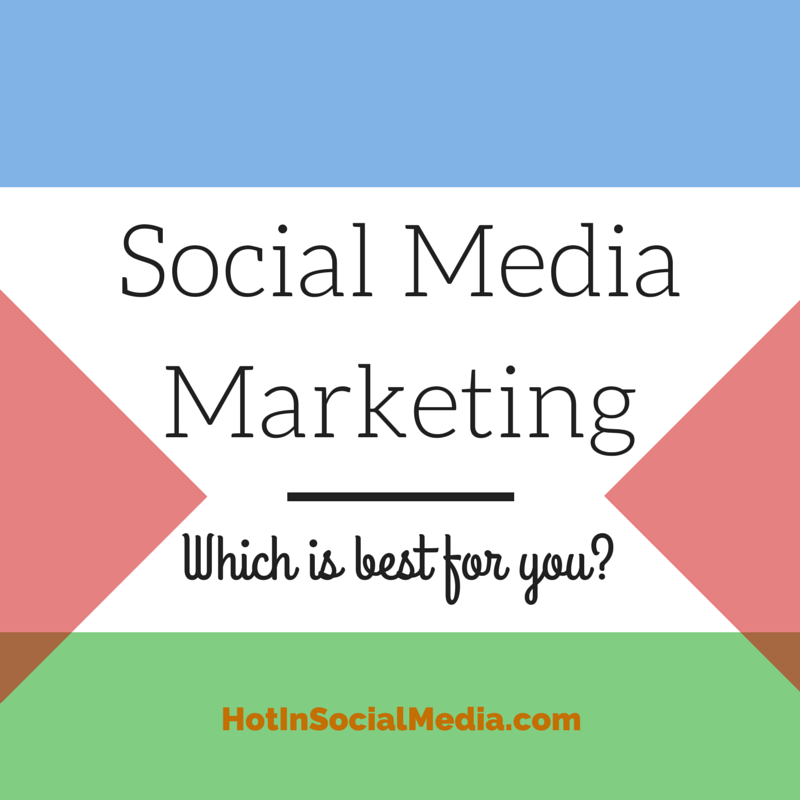 Recap: Which is the best social media platform for you? There is no one (or two) social media platform that fits your needs. In most cases, you would require a few depending on your requirements, target market and user personas. Wondering if you could participate in all social media platforms known to man? Yes, you can do that! Just ensure you are using the right tone for the matter. See also: Hootsuite Review – The Best Social Media Management Tool?